Cyber bullying, the “willful and repeated harm inflicted through the use of computers, cell phones, and other electronic devices” (Patchin & Hinduja,2009), has become the H1N1 of technology with some fifteen million children text messaging and 42 percent of youth report being cyber bullied (Trolley & Hanel, 2010). While much of the research and focus has produced comprehensive well-documented programs on prevention of and response to cyber bullying, this workshop will address cyber bullying as a therapeutic issue. Based on data from current literature and published works, this workshop will provide an overview of cyber bullying (its explanations, its terminology, its prevalence) as well as an analysis of the present theories or thinking on causation (social factors, individual personas, and technology-induced behavioral responses). In addition, based on the current research, this workshop will explore avenues of intervention which therapists can incorporate into their practices and in the treatment of cyber victims, cyber bullies, and their families. “The disruption of relationships in the real world clearly leads to cyber bullying, and cyber bullying clearly impacts upon relationships. The cyclical nature of this is important, as it means that relationships may never be without interference in a technologically driven social world. As contemporary socials contexts include social networking sites and video sharing sites, it seems evident that cyber bullying is indeed a relationship issue, cycling between two worlds, impacting both” (Spears et. Al.,2009). Although there is extensive research on traditional bullying as well as on treatment implications, cyber bullying is still a relatively new field. However, more and current research is being done on this viral issue that is infecting and injuring our children and our families. In reviewing current publications, there are a growing number of well-documented programs of intervention and prevention directed towards organizations or institutions, especially for middle and high school campuses. The legal community is also stepping up in an attempt to curtail, contain, and combat the infectious spread of this virus. In spite of these gains, there is still limited (but growing) theory as to the causal factors of cyber bullying. Therefore, there is a need to examine the current thinking on causation and explore avenues of therapeutic intervention. We, as therapists and clinicians, have a very unique and timely opportunity to intervene with our clients regarding the issue of cyber bullying. If we can begin a discussion and examination around causation, we then can help victims, cyber bullies, cyber bullies/victims, and their families to address the presenting issues, to assess their severity, and to implement recovering behaviors, attitudes, and practices that not only help heal the incurred injuries but that also set up new patterns of healthy interaction that create an immunity against further infection. From the research and from my analysis of the causal factors, it is evident that Behavioral and Cognitive therapies are most utilized and effective. However, there is also a strong belief in incorporating a System’s approach (whether it is within a family, organization, school, etc. or among them) in addressing this complex issue. Because of the newness of the topic, it would be important to incorporate the thinking of the participants of this workshop to address additional implications for intervention. Because cyber bullying is not just a local, state, or national crisis, there is significant research performed on international levels across a wide range of age levels, gender, and ethnicity. Parts of the presentation will be supported by data from studies performed in Turkey, the Czech Republic, Belgium, Australia, Singapore, Canada, Austria, Germany, and the United States. Furthermore, although most studies targeted an age group (middle school, high school, college level), samples included a diversity of participants and populations. Tragically, because no one is immune from cyber bullying (unless there is no access to technology), samples across cultures are readily available. Hinduja, S., & Patchin, J.W. (2009). Bullying beyond the schoolyard: Preventing and responding to cyberbullying. Thousand Oaks, CA: Corwin. Spears,B., Slee,P., Owens, L.,& Johnson, B.(2009). Behind the scenes and screens: Insights into the human dimension of covert and cyberbullying. Journal of Psychology, 217(4), 189-196. Trolley, B., & Hanel, C. (2010). Cyber kids, cyber bullying, cyber balance. Thousand Oaks, CA: Corwin. 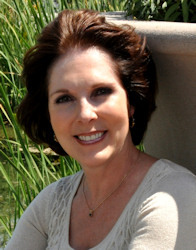 Holly Kenley will be presenting at the CAMFT 47th Annual Conference, May 12-15, 2011, in SF, CA. She will be speaking on Cyber Bullying: An Analysis of Causation & Implications for Intervention. Next Next post: How can evolution work against us?